"Quinta Ruban is Glenmorangie's port finish. To craft this single malt they specially selected Port pipes from the Douro valley in Portugal." 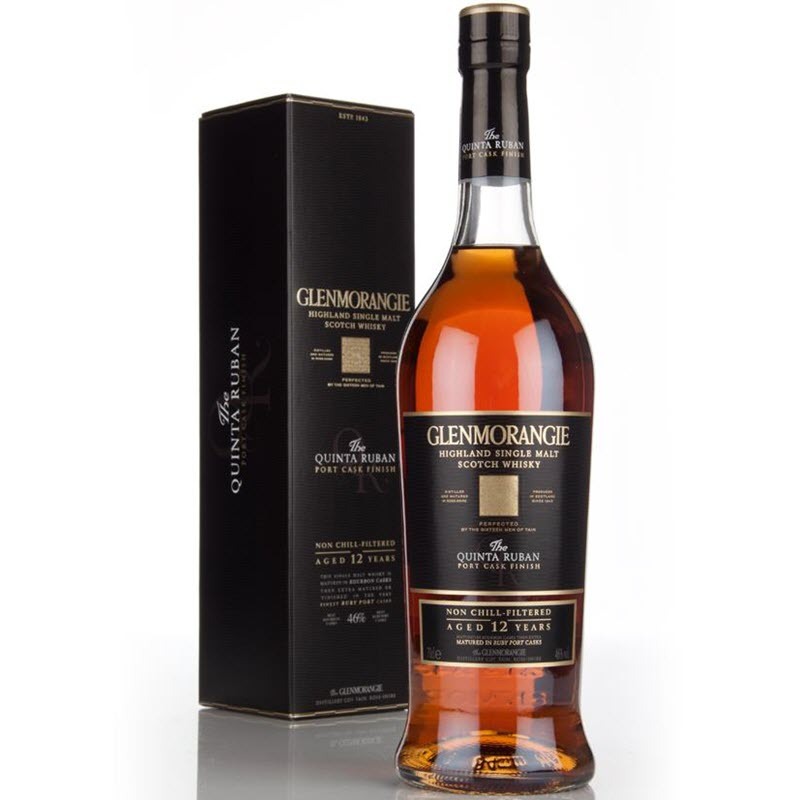 You can buy the Glenmorangie The Quinta Ruban 12 YO in Norway at NOK 620 (4966201), in Sweden at SEK 552 (8491601), and in the UK at around GBP 47. Nose: Sweet, cool, and reminding me of an old and cold cellar - brick walls and earth floor. Perhaps a cellar used to mature port wine? A bit dusty, a bit earthy and certainly fruity. Port wine notes, as well as vanilla and berries. A bit closed. This is also a whisky that really "grows" in the glass, and it is a purely positive development. Opens up more, and becomes even more fruity. Taste: Smooth mouthfeel, medium body. More port wine feel to it on the palate. Lots of berries, or maybe grapes. Simple syrup, strawberries, barley and vanilla. Finish: Medium long finish. More of the same really, but with added milk chocolate. And that can't be a bad thing, right? Comments: A nice little dessert whisky.